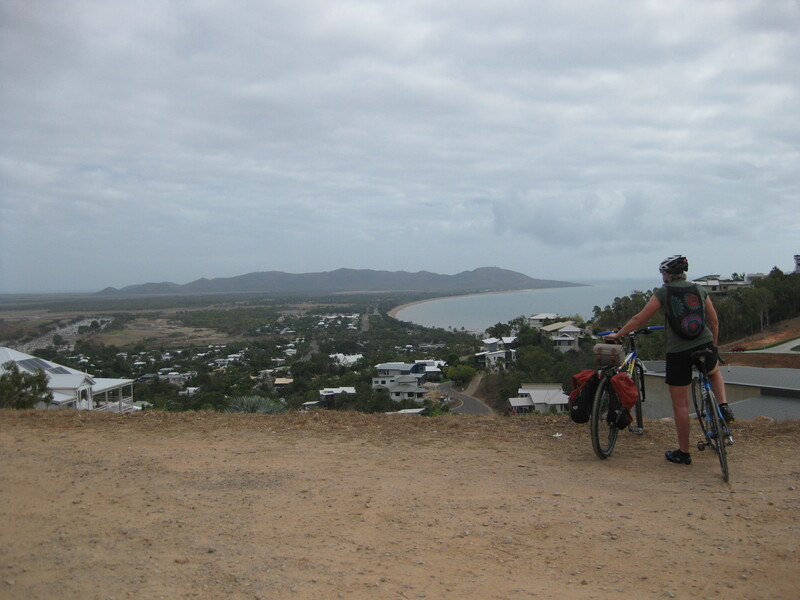 We were thrilled to hear our friend was escaping the Tasmanian winter and coming to Townsville for a visit! The question was whether she would be as thrilled when she realised we no longer had a car and all trips would be by bike. How does one deal with guests when they fly in and don’t have a car?! Lucky for us, our first guest since going car-free knows how to ride a bike! Not only that, Jo rides regularly down in cold Tasmania and bought an alloy road bike with her (she wouldn’t hear of using the electric bikes!). 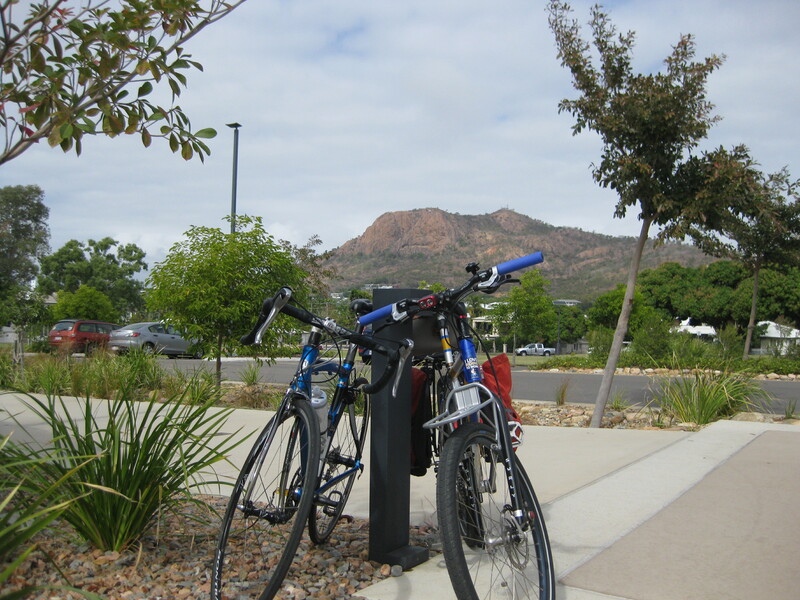 In an effort to show Jo that Townsville does actually have some mountains (or is that big hills? ), we headed for every climb we could think of. 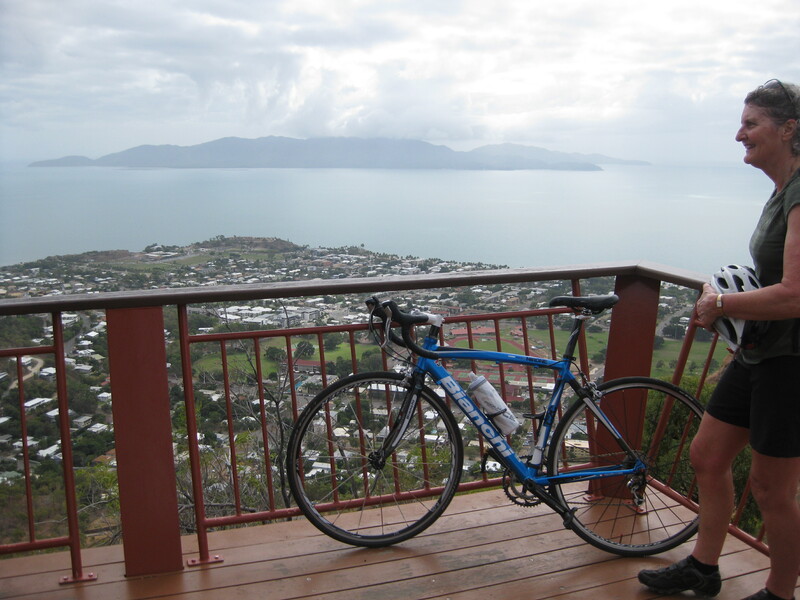 First was a ride up Castle Hill, stopping at the lookouts on the way to point things out (nothing to do with sneaking secret rests). The descent was gloriously cooling with the breeze blowing against our sweaty skin, despite having to go ultra slow behind an ultra careful car. about 21%…it’s a good one and worth a bit of ‘street cred’ if you can make it. We kept on cruising around and down past Jezzine Barracks for the obligatory tourist photo with Castle Hill in the background. By the time we reached Flinder’s Street and got some maps from the tourist information centre, we were ready for a coffee at one of our favourite coffee shops, The Quarters, and Jo was getting sick of me taking photos. On Saturday morning Jo joined in with the ‘Cyclecinnos’, one of Townsville’s friendly cycling groups, which starts near Willows Shopping Centre and finishes an hour later at Juliette’s cafe on the Strand. Mount Stuart was next after a quick snack. Apparently the road is a lot better condition than Hobart’s Mt Wellington, one of Jo’s many local climbs and made for a pleasant ride (for Jo that is. Luckily we had to work). 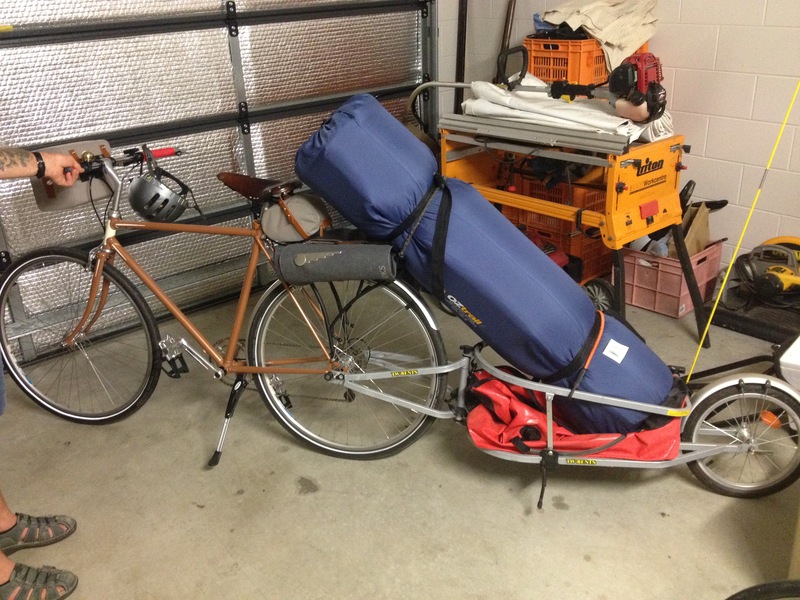 Our friend Ian came for dinner along with his bike trailer so he could take our camping mattress home with him. Who needs a car, hey? The Surly Pugsley fat-tyred bike got a turn out at the Douglas Mountain Bike Park on Sunday afternoon. It looked a lot dirtier by the time it got home again after a couple of hours out in the dust and heat. One of the challenges…I mean joys…of going out for dinner by bicycle is wearing clothes that suit the destination rather than the journey. Jo wasn’t fazed. She happily swapped lycra for a dress and managed fine, particularly with those good looking cycling legs. For a final bike fling, Jo decided it was silly to hire a taxi to get to the train station when she could just cycle there! It turned out to be very windy on the day so Jo just walked her bike there instead. So, our first non-car guest experience was definitely a success! Thank you Jo!